When Bushra Amiwala asked a classroom of largely South Asian first- and third-graders in January if they wanted to be president someday, most hands shot up. Then she asked a followup question: Who actually thought they could become president? Nearly every hand dropped. Amiwala said that experience helped inspire her to enter the race for Cook County commissioner of the 13th District, which includes Evanston. The DePaul University freshman said she wants to empower young people and those in minority communities through her candidacy, proving that they too have a place in politics. Amiwala entered the race for Cook County commissioner as a Democratic primary challenger to incumbent Larry Suffredin, who has held the position since 2002. Amiwala announced her candidacy in a news release posted on Facebook last month. In the post, Amiwala said she wants to keep the county fiscally responsible and to encourage reform of the county’s criminal justice system. She said she could offer a “fresh perspective” on local politics. At 19 years old, Amiwala is about 50 years younger than her opponent. The candidate said she has heard some concern about lack of experience but noted that her background in social activism has enabled her to interact and engage with community members. If elected, Amiwala would be one of 17 officials who sit on the Cook County Board of Commissioners, each serving four-year terms and representing roughly 300,000 residents. The Board manages Cook County affairs and appropriates funds for county operations. Amiwala said she was a community activist throughout high school at Niles North in Skokie, and at DePaul she is part of the Community Service Scholarship program, which selects 25 students a year based on “demonstrated commitment to community service.” Those students are expected to continue their community involvement throughout college, including tens of hours of service each quarter. 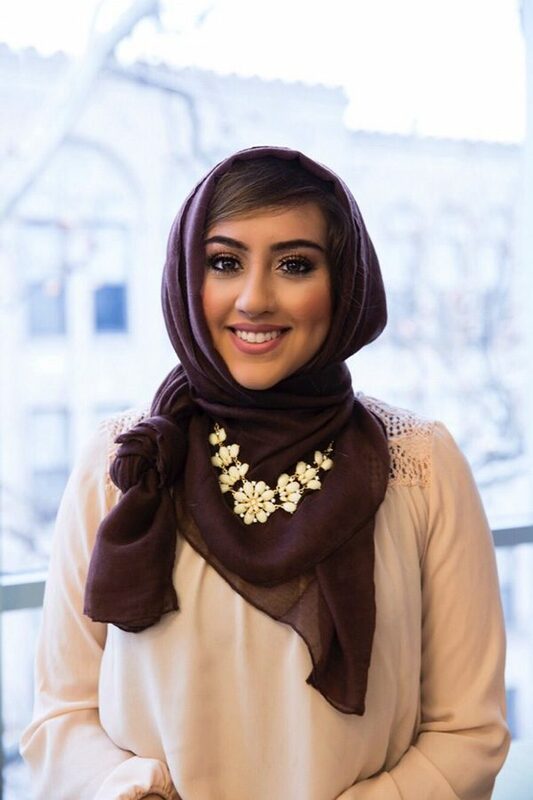 In her senior year of high school, Amiwala also spoke at an anti-Islamophobia rally at Evanston’s Fountain Square, talking about her experience riding public transportation while wearing the hijab. She said she noticed that when wearing the hijab, there were often people on the train who glared at her and placed their handbags on empty seats next to them to prevent her from sitting there. Hofman brushed off concerns about Amiwala’s age. In terms of fundraising, Amiwala has set up a Fundly page with a $10,000 goal and has planned a dinner for her campaign. Claire O’Kane, a high school classmate, said Amiwala’s previous experience with fundraising would help finance her campaign for Cook County commissioner. In high school, Amiwala worked on a DECA fundraising project called “DECAdent Delights” alongside O’Kane and increased revenue from previous years, O’Kane said. DECA is an international organization that gives students business-related experience. The pair worked to improve the reach of the business through various marketing strategies, like commercials, promotions and social media campaigns. “Bushra coming in senior year really just made such a big difference because she had all these ideas of how to make it better and more successful,” O’Kane said. Amiwala will take on Suffredin in the Democratic primary next year. She said she was inspired by the amount of influence one can have at the local level.